NOTICE: On Thanksgiving Day, the range is limited to 200-yards only! The range will remain open for the entire 2018-2019 Winter, weather permitting and barring any unforeseen complications. It is mandated that members park ONLY on Forbes and NOT on Watervliet F&G property, regardless of snow conditions. Snow plowing by Forbes will not be provided. The pavilion area of the range is to be considered CLOSED whenever a match is being held. All ranges will be closed from December 3rd through the 5th due to Pine Bush Preserve Habitat use. The meetings are held semi-annually at 7:30 P.M. on the 4th Tuesday of the month, at the American Legion Zaloga Post. The 2019 dates are: April 23rd and October 22nd. Directions to the Zaloga Post can be found on the Events/Matches page. A complete listing can be viewed on our Rules & Reg's page. Shooting hours are from 8:00AM to dusk. Actions must remain open until firearm is shouldered and aimed at target! Never park or drive on top of berms. 300-yard practice is Tuesday 8-10AM and 4-6PM. Firing points 1-5 are the ONLY firing points that should be used for 300-yard practice. All cars must be behind points 1-5 as well. Thursday 600-yard practice is single load, slow fire only. A member may bring a guest to shoot or observe one time to see if the club is a possible fit. Members will be held accountable for all guests. The club is experiencing a great amount of trash, either overfilling the barrels or being carelessly strewn. This is especially true by the pavilion. Your cooperation is asked to treat your club as a "carry-in, carry-out" facility. Our volunteers are taxed enough and do not deserve the additional work. If you see inappropriate behavior, as always, please contact us with a name or license plate number. For more details, view the Membership page. Annual dues are due by October 31, 2018 for calendar year 2019 membership. Renewal dues remain at $50; you do not need to purchase another gate key if you already have one. Renewals after January 31st will incur a $20 late fee! Please include your clearly-written e-mail address and phone number to help your club reduce costs. If you are a life member and have not received your new membership card, please contact the Membership Director. Mandatory NRA membership has been approved by the Board. Details on the Membership page. Interested in qualifying for membership? 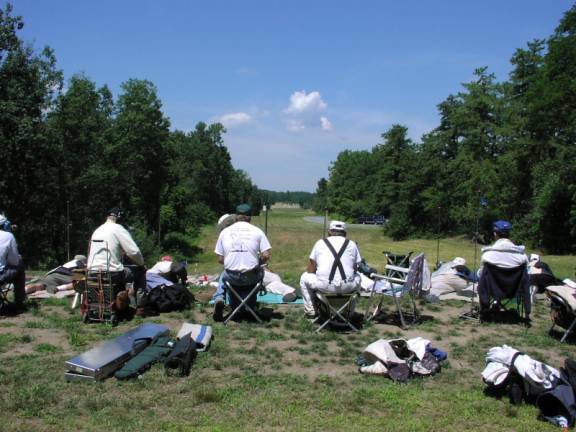 April 27 & 28, 2019 SAFS to be held at Peconic River Sportsman's Club. Workday - Saturday, April 6th 2019 - starting 8:00 A.M. 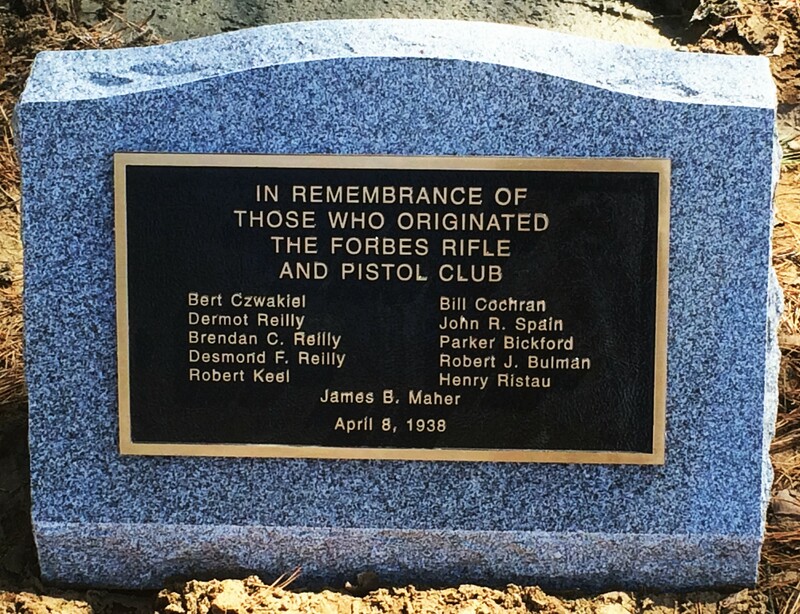 Welcome to Forbes Rifle & Pistol Club, Inc. Located in Colonie, NY, Forbes has a 1000 yard range (with positions at 200, 300, 600, 800, 900 & 1000 yards), as well as a 200 yard covered range. Forbes sponsors High Power, Long Range High Power, Palma and Smallbore matches throughout the year. Forbes Rifle & Pistol Club, Inc. is a National Rifle Association affiliated club (NRA # C-0799). Forbes is also a member of the New York State Rifle & Pistol Association (NYSRPA # 130144). Additionally, Forbes is a Civilian Marksmanship Program affiliated club (CMP # 016351), entitling our members to the benefits of this great organization. More can be learned of our history by visiting our About Us page. If competitive shooting interests you, further information, as well as an application, can be found at our Membership page.